Commercial ice melting products have become very popular with consumers looking to transfer the blunt of the labor involved in clearing snow and ice during the winter months to an easy to use product. New advancements allow these innovative products to remove thick ice buildups, even during the tough conditions present during ‘Hercules’, which is the ‘polar vortex’ currently affecting those in a large portion of the country. These products generally contain various combinations of Potassium Chloride, Sodium Chloride, Magnesium Chloride and Calcium Chloride which work by mixing with the water that is already present in the environment to create a brine solution. This solution then spreads under the ice and breaks the surface bond which allows the remaining ice or snow to be easily removed manually. The brine also prevents new layers of ice or snow from adhering to the surface. Sodium Chloride, Potassium Chloride, Ammonium Sulfate, Ammonium Nitrate and Urea work by absorbing heat from their environment; while Calcium Chloride and Magnesium Chloride release heat upon contact with water. 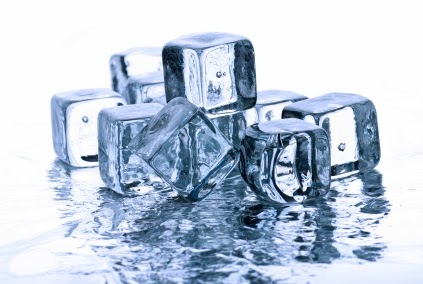 These chemicals allow the ice melting products to function primarily by depressing the freezing point of water. The effectiveness of a de-icing product is determined by a number of factors, primarily which combination of active ingredients is included in the product’s formulation and at what quantities. Other common issues to consider during the R&D of an ice melting product are the environmental implications and surface corrosion that these products can produce. Avomeen’s chemical laboratory specializes in the testing and development of consumer products. Our skilled chemists can perform a competitor product analysis to determine the true differences between current products on the market. This data can then be used to develop a new formulation that is customized towards meeting your customer’s specific needs and is superior to the existing products currently on the market. One common critique of ice melting products is their lack of product labeling clarity and the performance claims made versus its actual effectiveness. Our laboratory can also perform the testing necessary to ensure that your product’s marketing claims are accurate. A complete list of our analytical testing services is available here.